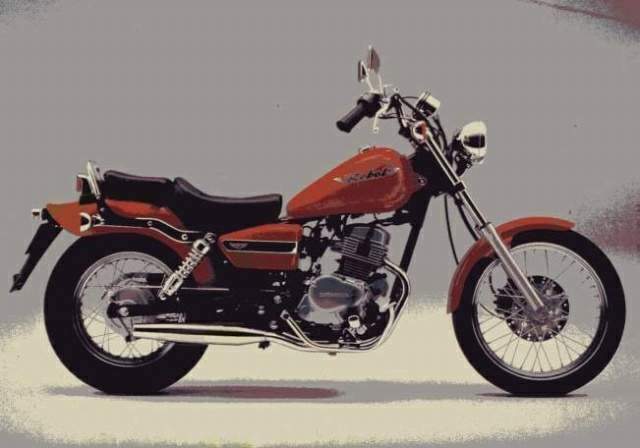 The old four valve, twin cylinder engine in the Honda CA125 Rebel dates back to the CB125 of the 1980s - the baby Superdream as it was known back then - and just hasn't got the refinement, or the acceleration of some V-twin powered 125cc cruisers. The engine gets you there eventually, and is frugal on fuel, but overall the Honda CA125 Rebel is hard work. Most 125cc cruisers have pretty basic suspension and frame technology and the Honda CA125 Rebel is no exception. But apart from a bit of choppiness and a slightly vague feeling at the front end, it commutes just fine. It just lacks the finesse of more modern motorcycles.